You are cordially invited to the AMco Pop-Up store being held during New York Fashion Week 2014. Come to 103 Allen Street (Allen & Delancey) for a three day shopping event packed with fashion, jewelry & bags and mingle with top professionals in the media and press. DJ Alex Edge will be on the turntables spinning some awesome beats while Stoli Vodka will be mixing their summertime refreshments. Social Lifestyle Magazine is the official Media partner. Need a ride to or from the event? We got that covered! We’re thrilled to have partnered with Uber to provide new Uber users a free ride (up to $30) to or from the AMCO Pop-Up Store. How does it work? Using Uber’s free iPhone/Android/Blackberry 7 app, you can request a pickup and a car driven by a professional driver will show up in minutes. Your credit card is billed directly for your trip and there’s no need to tip, so you won’t need to carry cash. You can even see the car coming towards you on a map! 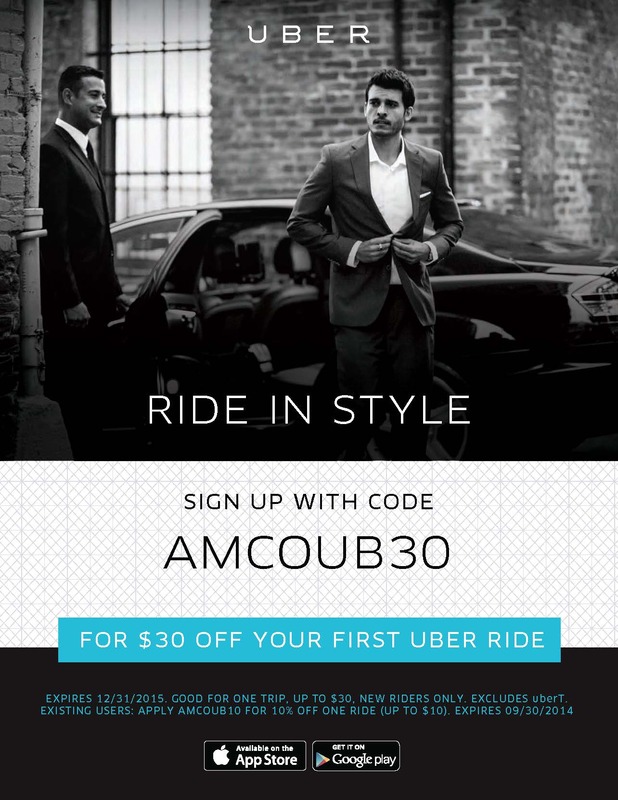 2) Enter your information in the Uber app and promo code AMCOUB30 when you sign up. 3) Request a ride 5 – 15 minutes before you need one. $30 will be applied towards your first ride on uberX, UberBLACK, or UberSUV (excluding uberT). Already riding with Uber? Use promo code AMCOUB10 to receive 10% off your ride the day of the event (up to $10, excluding uberT). The first 30 customers daily will receive a gift bag filled with SWAG! Come support your local businesses during the most fashionable time in NYC. Credit cards are accepted for purchases. Media and press please rsvp at RSVP@Adriana-Marie.com. Day one has been filled to max capacity and day two is filling up quickly. Please rsvp ASAP! Hi!! I was on your blog and I love it!! ❤ Following now.. Thank you. Love your blog. Would love you to come to the pop up!